Christmas and the holidays are quickly approaching... so it's time to start checking some people off your gift list and what could be better than a holiday DVD! If you have a special child in your life between the ages of 1 and 5 years old then this would make the perfect holiday gift! Give the gift of friendship this holiday season. 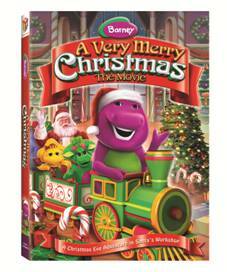 Join Barney and Baby Bop on their journey to Santa’s Workshop where they learn that the true spirit of Christmas is the joy of giving and caring for others.